Facial oils have become such buzz beauty items recently and something that I have wholeheartedly embraced. There are so many oils available now and as long as you choose what is right for your skin type and concern they will make a huge difference to your skin. I will go into more detail about the benefits of facial oils in my next post but for now I would like to mention a brand new Oil Launch from one of my absolute favourite brands and possibly the only brand I have used consistently since its very beginning. 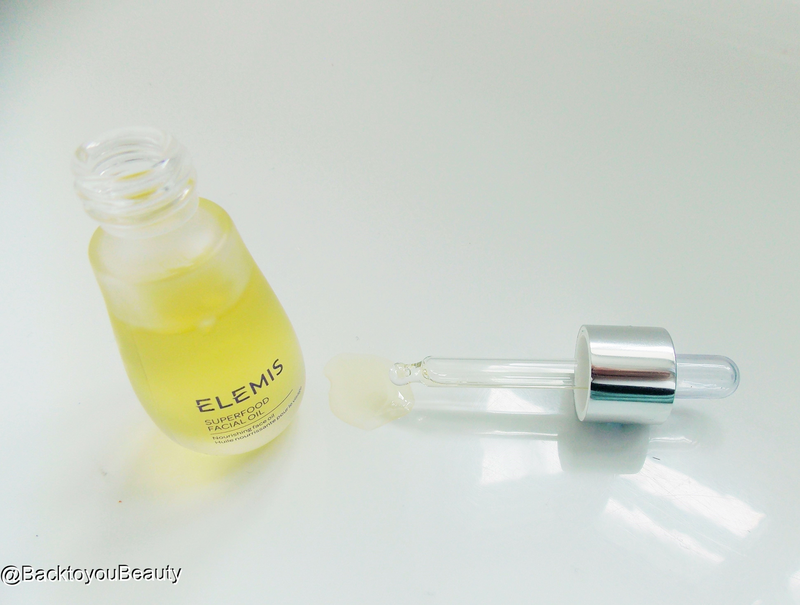 Elemis have launched their new SuperFood Facial Oil and boy is it good. The reason this oil is so different is that you can use it in the morning without fear of your skin looking shiny and feeling slippery. This Oil contains some amazing ingredients that we may be more used to drinking in a smoothie than putting on our skin. It feels like a dry oil to the touch and yet leaves the skin feeling smooth, soft and deeply moisturised. it really is jam packed with goodness. Perfect for all skin types including Oily skins, this incredibly lightweight oil, feeds the skin deeply whilst leaving it balanced and with a healthy radiant glow. It smells lovely too, in a herbal kind of way thanks to the Naturally fragranced Essential Oils of top notes: Orange, Lemon, Galbanum, Rosemary and Eucalyptus. Middle, Herbal notes of Lavender, Ylang Ylang and Palmarosa and bottom Woody notes of Amyris, Cedarwood, Vetivert and Patchouli. This really is a Unisex scent and a very Unisex product that will benefit all skin types. The blend of oils included and their benefits make this oil different from others I have tried. Just the fact that I can use it in the morning is amazing as my skin really, really drinks it in. I have dehydrated skin due to medication and using oils is one of the fastest ways of hydrating my skin and making it look brighter and feel softer. After cleansing apply 3-4 drops of this Superfood Oil into the palms of the hands and breath in the aroma, gently sweep outwards and up over the face, neck and décolleté avoiding the eyelids. Immediately and from the first use I noticed how soft my skin felt and how bright it looked, it also helped my moisturiser last longer as I applied it after the oil and my primer and make up sat as perfect as normal on top. It felt like my skin was being dripfeed goodness all day and the scent lingers ever so lightly but beautifully. It really has had a huge impact on my skin so far and my skin is brighter, softer, smoother and has a lovely texture. I can really recommend this oil if you need to see a real improvement in the look, texture and feel of your skin. 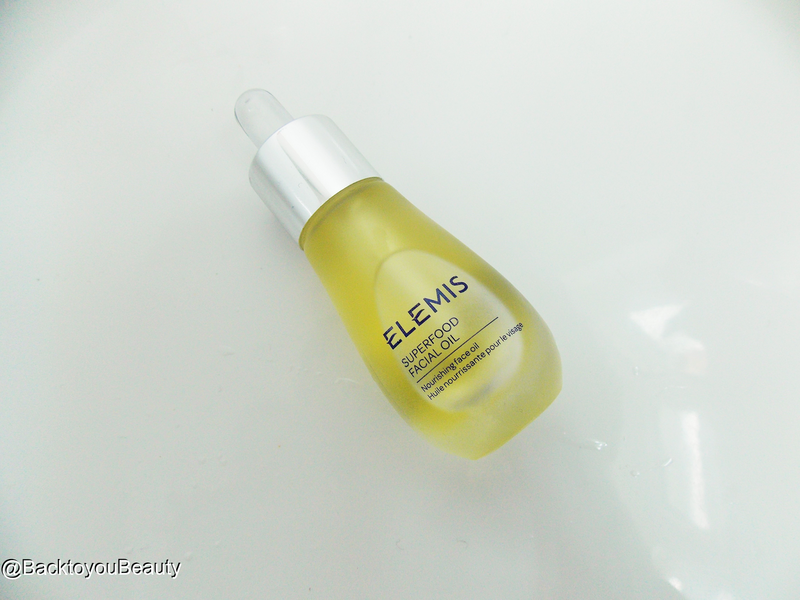 This Superfood Facial Oil from Elemis is currently exclusive to Qvcuk and you can purchase it HERE. 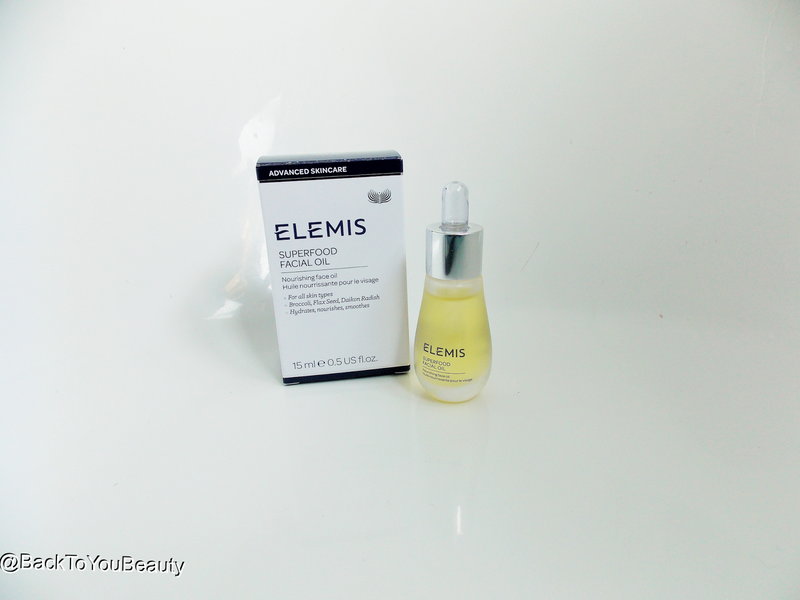 However the lovely Elemis team have given me one brand new 15ml Elemis Superfood Facial Oil to giveaway! This giveaway is open to UK residents only. Neither Back to you Beauty or Elemis will be held responsible for loss or damage of this item during postage. The Winner will be chosen at random and must claim their prize within 72 hours. All decisions are final. Sounds like a lovely oil. Having dry eczematous skin I'm always on the look out for an oil that deeply moisturises but doesn't leave an oil slick. (Joan Gray on rafflecopter) hate broccoli and cucumber so this is the only way they will come near me! DO YOU KNOW IF THIS PRODUCT OK TO USE IF YOU HAVE ACNE ROSACEA?